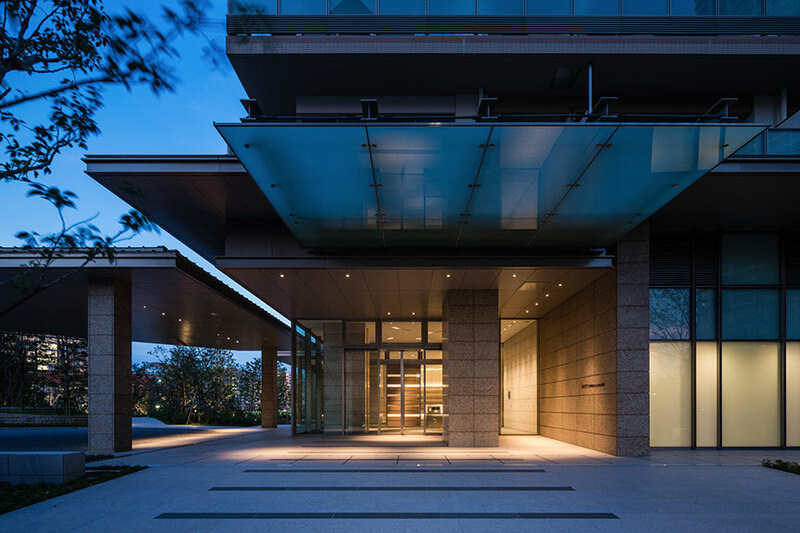 BAYZ TOWER & GARDEN – Jun Mitsui & Associates Inc. Architects｜Pelli Clarke Pelli Architects Japan, Inc. 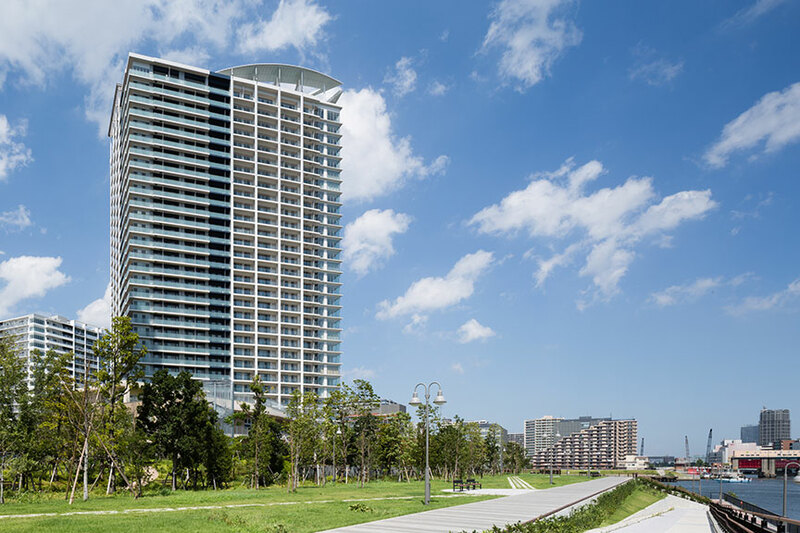 Following on from the SKYZ TOWER & GARDEN project completed earlier, BAYZ TOWER & GARDEN was designed in accordance with the design guideline formulated for the Toyosu 3-2 Block Development Project. 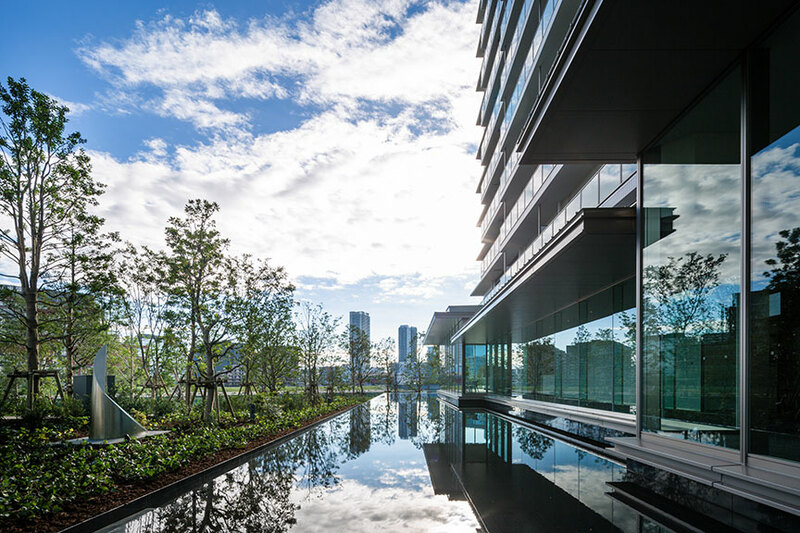 As an integral part of the project, BAYZ TOWER & GARDEN has helped create a coherent identity for the development, which comprises multiple architectural structures, to maximize the appeal of the townscape as a whole. 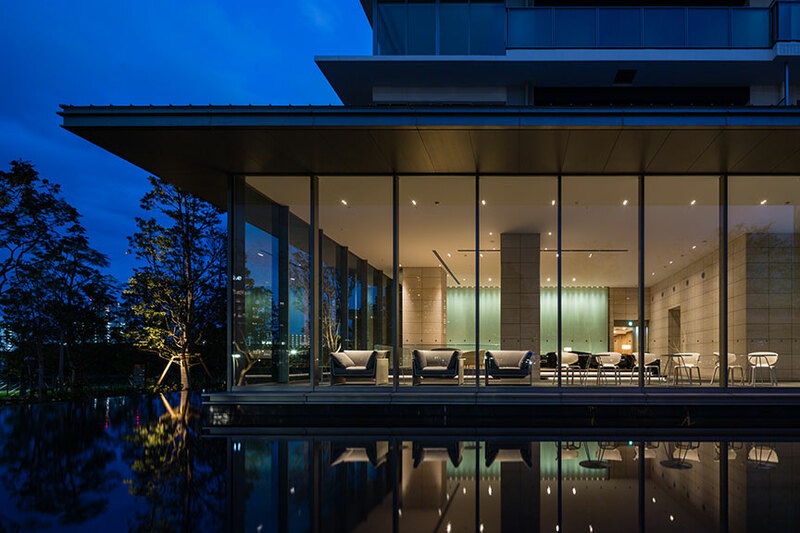 Perched on a wharf close to the surface of the water, the tower has an exterior design that draws on these locational characteristics. 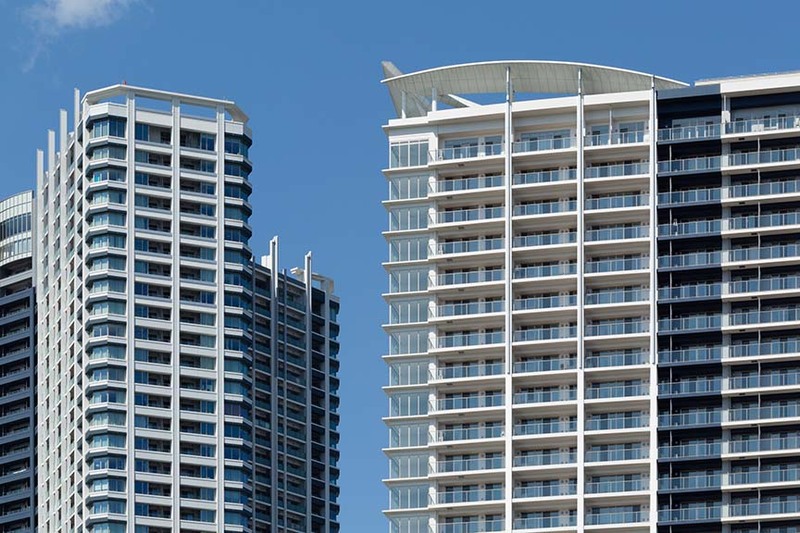 The use of white as the base color for the exterior makes the tower look incredibly light from any angle. 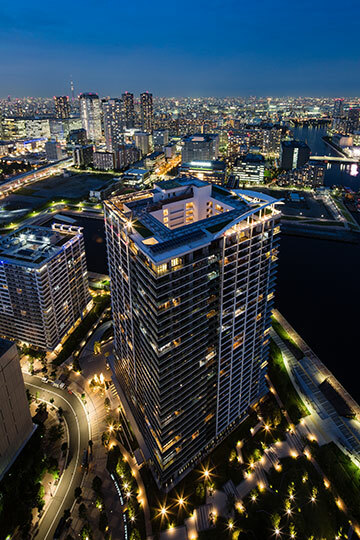 Moreover, the deep-sea color used to accentuate the center part of the building is designed to highlight the character of the seafront tower and to segment the massive tower visually in order to reduce its otherwise potentially oppressive presence. The rooftop of the tower is embellished with a structure inspired by the hoisted sails of a sailboat, which makes for a distinctive landmark. Even from a distance, the tower is readily recognizable, standing out from numerous other high-rise buildings in the waterfront area. 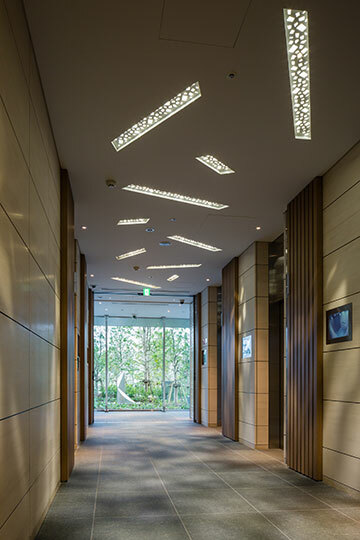 To echo the glittering sunlight that the tower’s exterior reflects back onto the surface of the water, part of the wall is clad with a random arrangement of special light-reflecting tiles. 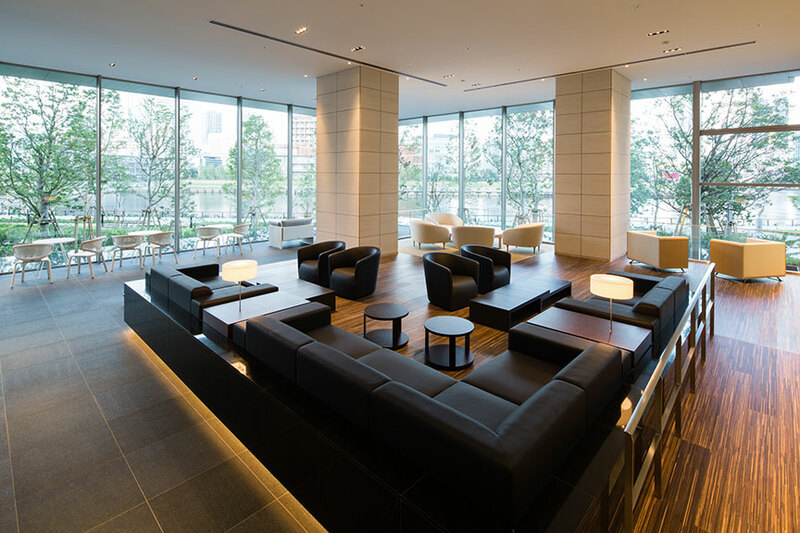 The exterior thus successfully embodies Toyosu’s prismatic waterfront views that change with the season. 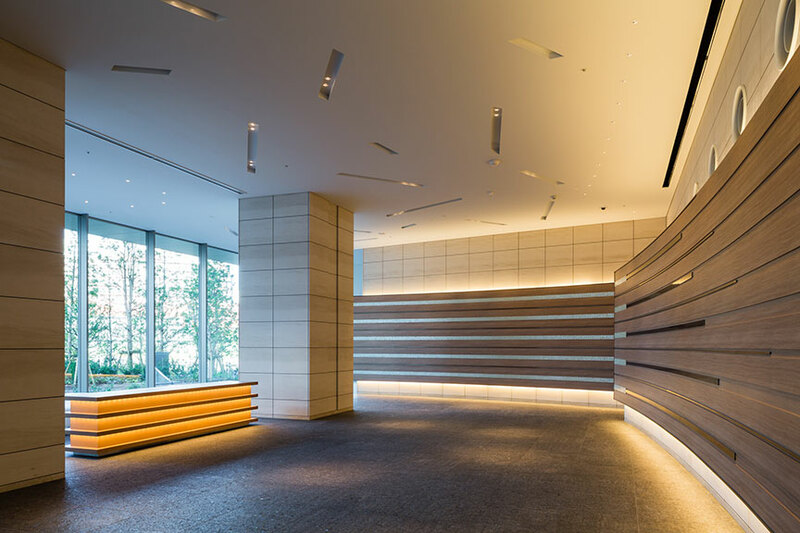 BAYZ TOWER & GARDEN constitutes the last undertaking of the project for the Toyosu 3-2 block. At the launch of the project, the area was vacant with no tree cover. During the height of summer, the sunlight was so intense that it was difficult for pedestrians to walk along the shoreline even for five minutes at a time. 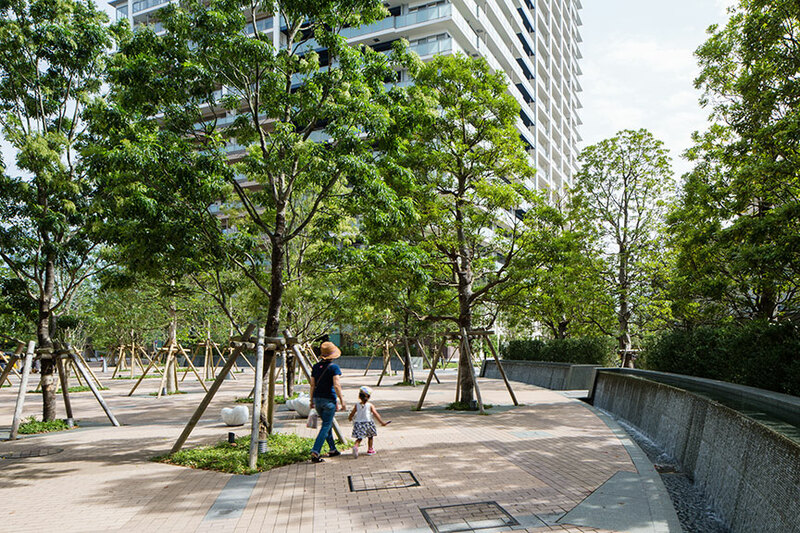 Now that all the projects—buildings and outdoor facilities—have been completed, the area offers a pleasant space for strolling while also providing the district with a unique identity, whether viewed up close or from far away. 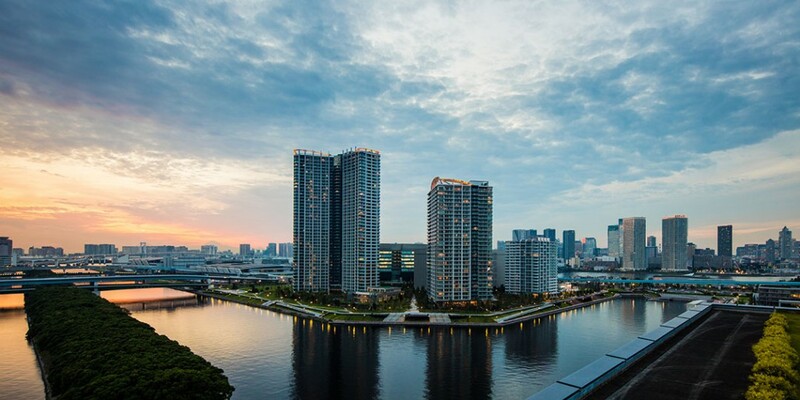 BAYZ TOWER & GARDEN offers new lifestyle experiences in this lushly green waterfront district.